Sunday, 2nd October 2011 – Its 8.30 am. The participants and volunteers take their respective positions for next words of wisdom from Ron’s mouth. The theme for the opening session was Social Metrics. “We need to measure results accurately” he said. The 29 projects currently taken up by Vibha in India are nothing up 29 different social experiments – we see what works and do more of it. When we have 5 million lives to change, the importance of measuring the impact of these experiments grows enormously. It’s high time we stop putting band-aids over the root causes of our problems; that part has to be surgically removed. “We want to ensure that whatever we do is replicable and scalable” he added. There’s something about the way he delivers his speech that the message tends to stick. The sessions held yesterday talked in detail about NGO financing. But there was a lot more in store for the day. Vibha supports many success stories being made every day at various organizations under its umbrella. Prior to the opening session, Sasi introduced everyone to Sajan (Member, HEARDS) who shared his story of freeing their district of menace of child labor. A wonderful achievement indeed. 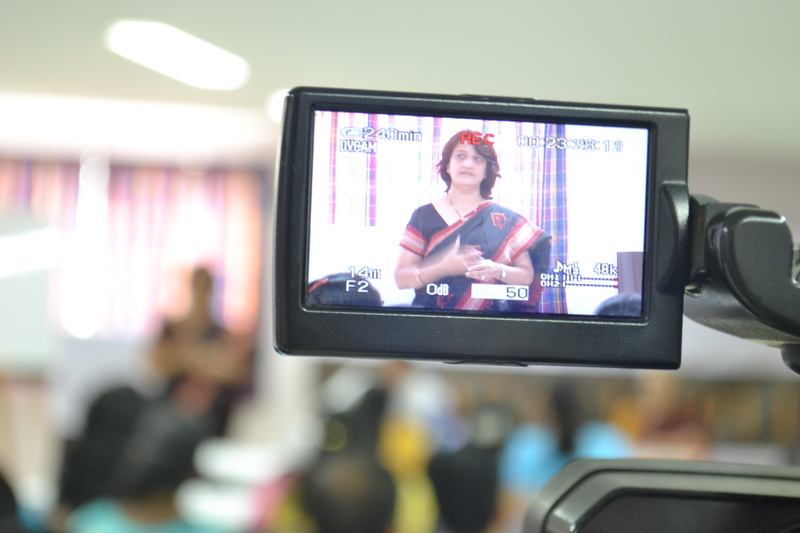 The opening session was chaired jointly by Ms. Jayshree (Door Step Schools, Pune) and Mr. Prasanna (Sikshana). DSS was covered previously in one of our posts. Both the speakers talked about how they measure the impact being created in their respective organizations. While DSS started in 1988 and focuses on construction workers’ children, Sikshana is still an upcoming organization focusing on underprivileged children in rural India. Jayshree is a firm believer of the fact that the limited trained resources at DSS should focus on dealing with children and not data. “We’re not here to fill glasses, but to increase the level of the lake by an inch” she said. She described DSS’s journey in moving from pen and paper based tracking, to MS Excel and then on to developing database and putting in places a MIS system. She highlighted the amount of transparency and accountability such tracking brings into the organizational culture. Not only does this help in impact measurement but also in generating customized reports for donor agencies and launching interventions. 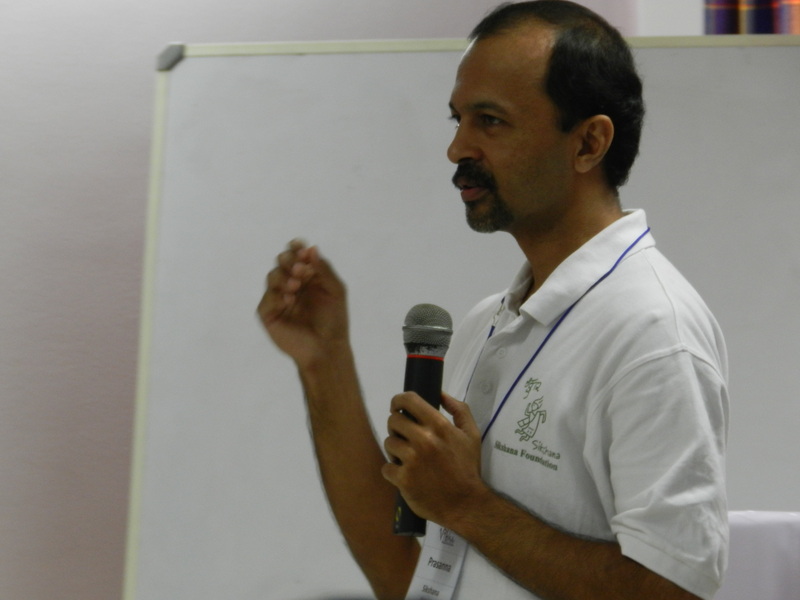 Mr. Prasanna talked about the importance of assessing all the students prior to and post any event. Bringing onto the table the results from a standardized measurement tool like the ASER report designed by Pratham adds more credibility to the results. The second session focused on volunteer recruitment and management, something even the Vibha volunteers were waiting for. The session was lead by Madhukar Kumar, who spearheads the operation of iVolunteer and serves as the Program Head of ICICI Fellows Program. 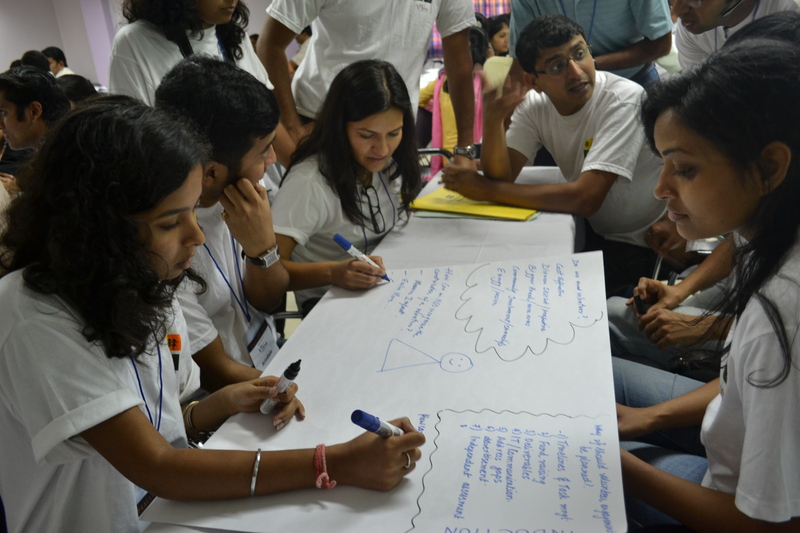 The unique aspect of the entire session was that Madhukar encouraged the participants to come up with a solution to issues regarding necessity of a volunteer, planning volunteer engagement, and supporting and recognizing volunteers. The cross organizational group discussion that ensued made some startling revelations about the intensity of impact volunteers can create. All Vibha volunteers too chipped in with their views on these topics. Ron summed up the session by mentioning the importance of inducting a volunteer into the organization, carrying out requirement analysis and mapping skills to appropriate tasks, setting timelines and clearly defining deliverables. Ms Nilanjana Das of South Asian Fund Raising Group came in for the post lunch session to focus on fund raising strategies for social organizations – the lifeline of any such set up. She talked about resource generations strategies and the importance of setting targets before embarking on the journey. The planning of fund raising should go hand in hand with designing interventions. The discussion revolved around drafting mails, choosing whom to ask for donations, the importance of sending personalized communications to those already in the network and making it all work. 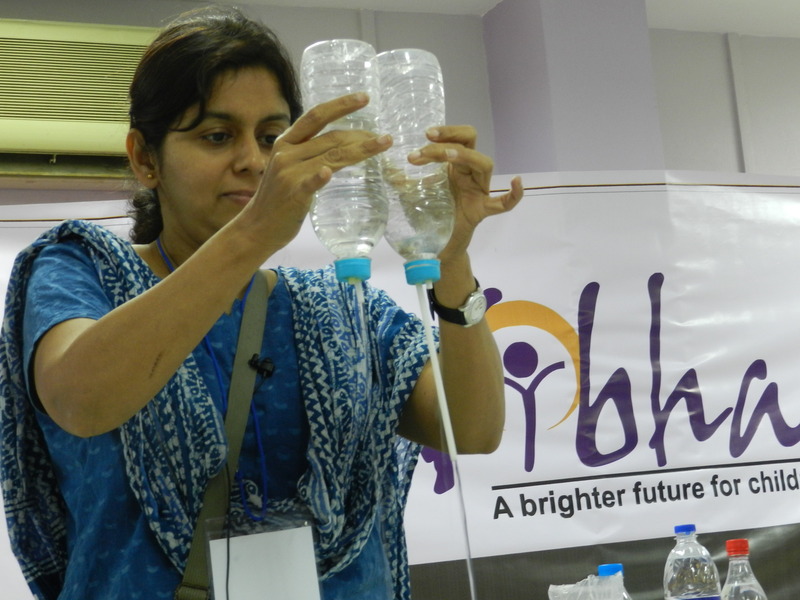 The last scheduled session was conducted by Dr Vidula Mhaiskar, from Arvind Gupta Toys foundation. Anyone who had doubts that the participants’ enthusiasm must have died out by the end of the day was in for a surprise. Dr Vidula’s amazing ability to captivate adults by showcasing toys made out of junk livened up the atmosphere. Bernoulli’s theorem, wave theory, electricity and magnetism, optics, capillary action, gravity and many other so called esoteric concepts of our Science textbooks were explained by her using these toys. It made most of us engineers doubt our grasp on the subject. She mentioned how these so called complex theorems could be made interesting by wrapping them up in such cost effective toys. The message was simple – you can’t expect to produce rocket scientists out of a generation which has crammed up the basics of science. It has to be learnt by experimenting and hence visualizing. As we approached the end of this edition of Pragati, Ron re-emphasized the importance sharing and leveraging. The next edition looks forward to including organizations not associated with Vibha as well. When it comes to creating a knowledge dispersive platform, I think learning knows no bound. Vibha volunteers [Mukesh, Ron, Anjeli, Mangal and Haseeb] put in a humorous skit for the participants. 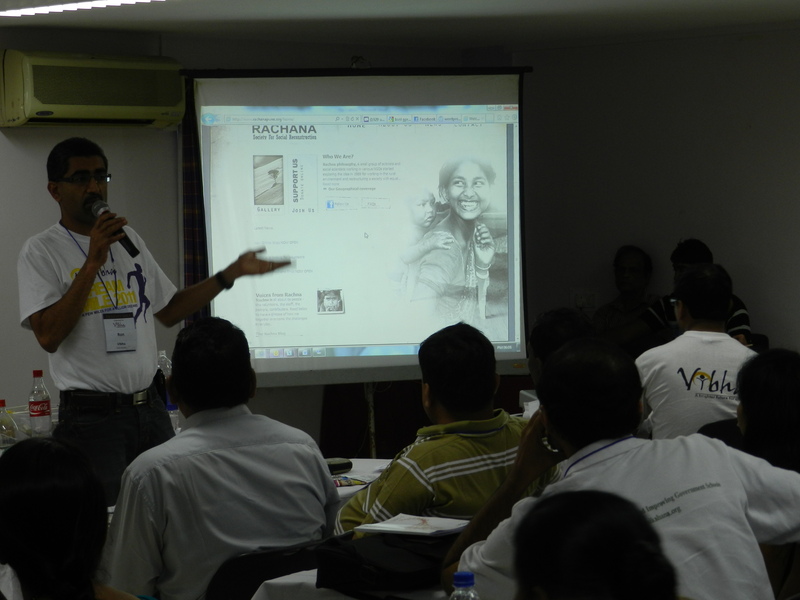 On the occasion, Ron also launched the website for Rachana, a Vibha supported project at Pune. The participants plan to visit the sites for Door Step School and Rachana tomorrow to watch and learn. The past two days have been an opportunity to learn, connect, network, be an inspiration and get inspired, forge relationships, work on weaknesses, strengthen the strengths and finally grow and scale the impact. All of us volunteers would like to thank Ron, Sasi, Sreekant, Deep and Zankhara for being our guiding post. We hope to carry on the good work. Stay tuned for reflections on the event.